How can I contact the Larks office? For Accessible Seating please call the Bismarck Larks Front Office at 701-557-7600. What are the Larks office hours? 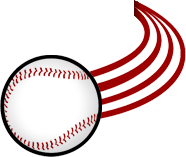 The Larks front office hours are typically from 9:00 am to 5:00 pm Monday through Friday. During the season, hours are dependent on game day and non-game days. Please call in advance to ensure a staff member will be available to assist. All tickets will be held at Will Call, which is located at the Main Gate entrance of the ballpark. For Saturday and Sunday games, the Box Office will be open at 10 a.m. and stay open through the game. The Larks play at Bismarck Municipal Ballpark, Dakota Community Bank & Trust Field, which is located at 303 West Front Avenue, right off of Washington. With recent stadium updates, the total capacity at Bismarck Municipal Ballpark, home of Dakota Community Bank & Trust Field is 1,900. Games typically sell out, and the only way to guarantee tickets are through our Scheels 7-Game Pack, season tickets, or by purchasing online in advance. Individual Tickets can be purchased over the phone or online and must be paid in full. No saving, reserving, etc. No exchange for any individual tickets once the game has passed. Season ticket holders nad Scheels 7 Pack Holders may exchange tickets for any game during the season based on availability. The Larks do offer group tickets (10 or more). A 20% deposit for the tickets is required at the time of purchase. Groups booked less than 2 weeks out must be paid in full at the time of the purchase. Catering is available for five areas (American Bank Center Home Plate Club, American Bank Center Suite Seats, Tailgate Party, North American Coal Club, Scheels 7-Game Packs). Flyers with information and prices are available under the “Tickets” tab on our website or in the ticket office. Scheels 7-Game Packs consist of reserved box or bleacher tickets on our top nights. These tickets include all you can eat ballpark food and soda/water to drink from when the gates open, until the third inning. When do the gates to the stadium open on game day? Gates open 1 hour prior to game time. Tailgating is encouraged but once you enter the stadium, you will not be able to re-enter without special circumstances from the usher at the gate. Where can I purchase Larks gear? No food/coolers/soda/water of any kind is allowed in the stadium. Baby bottles will be allowed. No folding/camping chairs are allowed into the stadium, either. Fans may bring blankets. Strollers are permitted; however, there is no area for storage. The Larks offer a complete line of ballpark foods along with numerous unique items. We offer numerous brews that include both national and local brands to individuals over 21 years of age. If you have a food allergy, our concessions team will try to accommodate to the best of their abilities. Please ask a concession stand manager for assistance. See all of our menus and unique food items under the Team tap on our website. Rain??? BUMMER!! But is the game still on? Games are NEVER cancelled more than 2 hours before the game per league rules. On the day of the game, weather forecasts are continuously evaluated at the ballpark and all decisions are made as early as possible. The umpires have the final call on whether the game is cancelled or not. Fans are welcome to check the status of any game, but if you call more than 2 hours before game time you will receive “the game is still on until further notice”. In the unfortunate event that a game is cancelled/postponed, it is first posted on our website homepage and through our Facebook and Twitter pages. Area radio and television stations are next to be notified and many include updates in their news breaks. If a game is cancelled, your game ticket is good for the rescheduled game. What if a game starts and there is a rain delay? If it begins raining during a game, there may be a rain delay. Typically the game will restart after the rain shower goes through and food/beverage will still be served during the delay. If a game is rained out prior to the conclusion of the 5th inning or prior to the gates opening, all tickets will be good for the rescheduled game later that season. If the rainout occurs 2 hours after the gates have opened but ends before the 5thinning, all Group Areas featuring all-inclusive food/beverage will be considered used in full and can only be redeemed for a bleacher ticket at the rescheduled game. If the game is shortened due to rain but has been played beyond the required 5 innings to make it a complete game, all tickets will be considered used and will have no value at the ticket office. All promotions, dates, and times subject to change without notice. Parking is complimentary on game days. There is also Reserved Parking with a VIP Parking Pass or if you have an Accessible Parking sticker on vehicle. Children 3 and under receive FREE admission to the game but must sit on an adult’s lap for the duration of the game. We accept all major Credit Cards at all our Concession Stands, Ticket Offices, and Merchandise Tent. We do have an ATM at the ballpark in the merchandise tent. Where is the shady side of the stadium? Directly behind Home Plate is a covered awning that protects you from all aspects of the weather. The 3rd base side also receives for later games due to the sunset. May fans keep baseballs that land in the seating areas? YES, you may keep any baseball that is thrown or batted into the seating areas. Fans are encouraged to pay attention at all times to the playing field because baseballs can come your way at any point during or before the game. However, you can exchange that baseball for a free hot dog at the concession stand or a free Larks souvenir ball. There is a ZERO TOLERANCE policy on smoking in the ballpark. This includes any type of vaping or e-cigarettes as well. If a guest chooses to smoke, they must exit the stadium and smoke at least 20ft away from entrances according to Bismarck Parks and Recreation District smoking policies. If fans wish to exit the stadium, under only special circumstances an usher will put a mark on the exiting fans hand. Only fans that have a mark or unscanned ticket will be able to re-enter the gates. National Anthem, first pitch, etc. will meet at the Fan Promotions Table about 40 minutes prior to game time. The Fan Promotions Table is on the main concourse in front of Clarks Classics concession stand. What is the Larks promotional photo policy? When fans purchase a ticket, they agree to allow the Larks and the Northwoods League, Inc. to reproduce their likeness for promotional purposes. If a fan wishes to not have their photo used for promotional purposes, please email info@larksbaseball.com.